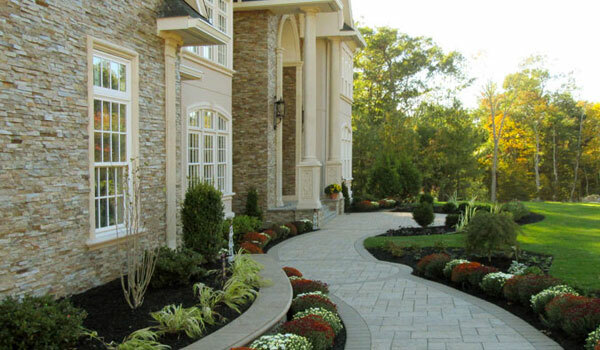 Work began in spring 2017 on this impressive residence in New Jersey. Cornerstone cast stone dimensional veneer, trims, columns, and balustrades were chosen for the exterior of this castle-like structure. As an architect or home owner, you have the vision to imagine a breathtaking great room. Now how do you make that vision a reality? Join us at the 2017 NAHB International Builder’s Show® (IBS) in sunny Orlando, Florida! We once again will be featuring our New England Veneer Stone product, alongside our architectural cast stone and our fireplace mantel line. We have been hard at work innovating new fireplace mantel designs at Cornerstone Architectural Products. Thanks to our friend, Marco Vinci, mason in the greater Boston area, we can proudly confirm that our products are second to none. 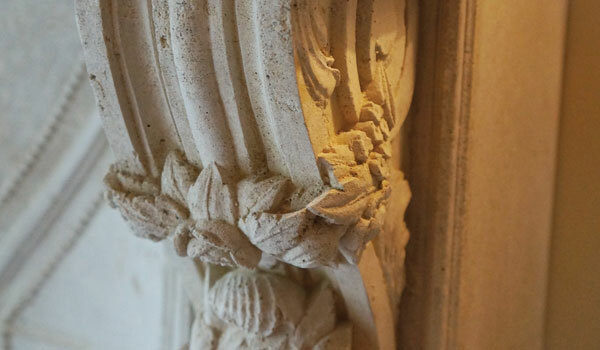 Cornerstone Architectural Products recently announced a planned partnership with Victoria Mansion of Portland, Maine. 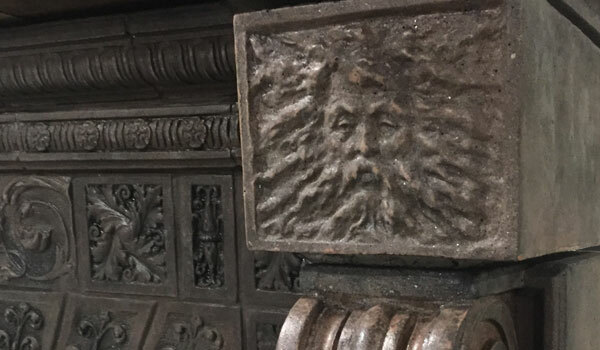 The collaborative effort will result in a new line of fireplace mantels, the sales of which will benefit the mansion's fund raising and awareness endeavors. Cornerstone Architectural Products has added Modern Ledge to its already impressive New England Veneer Stone line of thin stone veneer. Modern Ledge features a split textured face similar to Ledgestone, but the straight-cut rectangular shapes lend a more modern feel. We'll be serving up food and drinks and introducing you to New England Veneer Stone, the finest veneer stone product in the industry. If you've been looking for a gorgeous thin stone veneer that is easy to install and yields less waste, then you don't want to miss this open house! Cornerstone wishes to congratulate Boston Fine Home Details on the opening of their new showroom in Newton, Massachusetts this May. Conveniently located off of I-95, the showroom features over a dozen burning fireplace displays, cast stone mantels, handcrafted fireplace screens, doors, andirons and toolsets, and the finest architectural hardware in the industry.